Special agent 007 (Sean Connery) comes face to face with one of the most notorious villains of all time, and now he must outwit and outgun the powerful tycoon to prevent him from cashing in on a devious scheme to raid Fort Knox - and obliterate the world's economy. 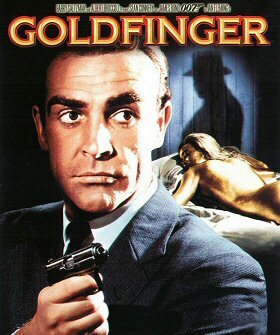 Goldfinger, with a budget equal to that of the first two Bond films combined, would become an even bigger hit than any of the earlier Connery films - a true sensation at the worldwide box office, a major pop cultural phenomenon, and a key influence on action films forever after. In fact, it's probably fair to say that Goldfinger is one of the most influential movies ever made, spawning imitators that persist up to the present day.